Napkins are used at dinner time, for picnics and more. 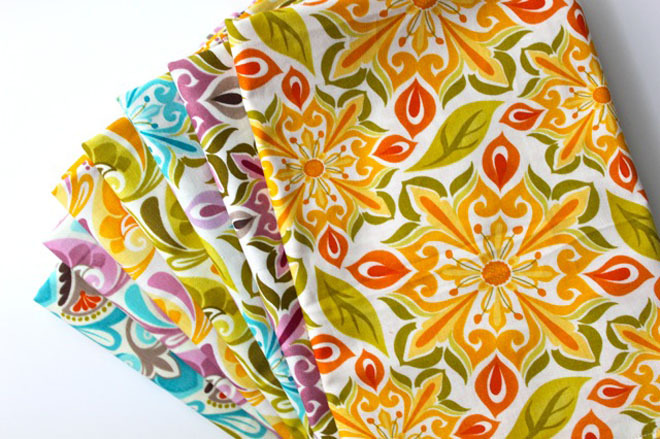 You can save money and have an eco-friendly product in your home by making reusable napkins. These napkins can be made in around an hour. Homemade napkins will look great at the dinner table and you can even make them for family and friends. Napkins also come in handy for spillages to! When taking snacks or lunch out with you, you may use a plastic tub or bag. You can save on plastic by making your own reusable bags. These bags can be made in different sizes and can be used again and again. You could also make these in different fabrics to suit each person. 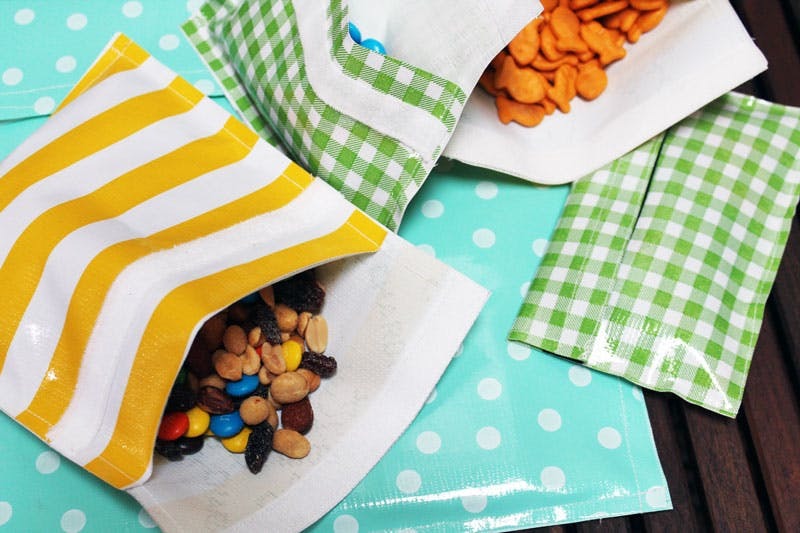 These little bags are fun to make and will create a greener lifestyle for you and your family. You can make these with Velcro and oil cloth. There are many different tutorials online. We have found an easy to follow tutorial which you can check out here. 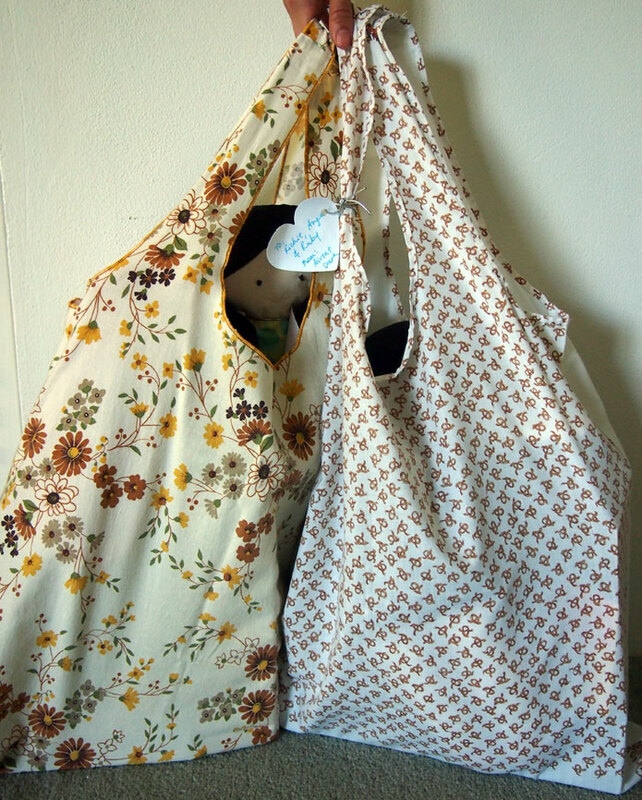 If you have any old pillow cases around, then you can turn them into a bag! 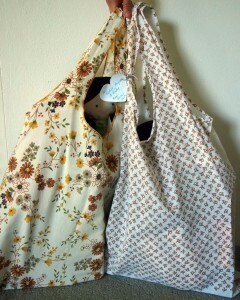 The bag will be what ever size pillowcase you use, so you can create a variety. We love this idea because it is easy to do, it recycles fabric and stops the use of plastic bags. You can take these anywhere and put anything in them. A bag like this can be made with any case. There is little sewing involved and with research you can create a few different styles. You can find an easy to follow tutorial here. We all have clothes we don’t need in our wardrobes. Some we can sell but some we can reuse. This next craft idea turns your t-shirt into a trendy bag. 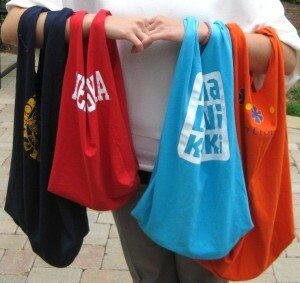 This is such an awesome idea because you can turn any t-shirt into a bag, maybe your favourite pattern or favourite band. These are super simple to make, and you can take these anywhere and put all your shopping in them. There are a few ways you can make these bags. Here is a great tutorial but there are also no sew tutorials to! As much as most of use don’t like it, we have to clean. 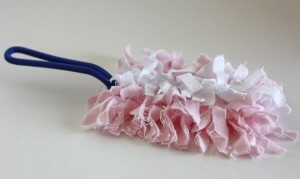 Our next idea makes cleaning easier and allows you to have a cool reusable product. Here we have a handmade duster head. Now you will need the handle and you can buy these or get creative and use something else. Then just add your new handmade duster head. These are made out of flannel and will collect all the dust. You won’t have to buy a duster again. You can use old flannel shirts for this craft. Here is a quick and easy tutorial to help you make your cool duster. We hope we have inspired you to create eco friendly crafts. If you decide to make any of these projects or you have any cool green craft ideas let us know!